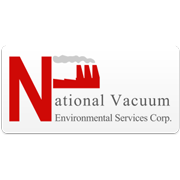 National Vacuum Environmental Services Corp.
3 OFFICE LOCATIONS LOCATED IN NEW YORK STATE!! National Vacuum Corp. strives to be the "Preferred Choice" in industrial cleaning and environmental contracting services. National Vacuum Corp. was founded in 1971 as Wizard Method, Inc. and was acquired by Integrated Waste Special Services, Inc. in 1988. The company functioned as IWSS's Industrial cleaning division until 1977, when the current management team purchased division from IWSS, renaming it National Vacuum Corp. We've been hard at work staying the preferred choice in industrial cleaning and environmental contracting services through the use of safe, efficient, and cost-effective methods. Our employees are professional and highly qualified to ensure the job is done safe and correct. The best practices and latest technology plays a huge role in the services we provide to meet your needs. In actuality, the experience and dedication of our employees bring true value to your organization. They are skilled, honest, flexible, and passionate about finding the best possible solution to your industrial cleaning and environmental remediation needs. To be the preferred choice in industrial cleaning, environmental remediation, and emergency response services, it takes an organization to be great from top to bottom. Our immense methods, skilled employees, and high integrity ensure satisfaction with every job. Don't let waste build up bother you, call us today!